Interested in giving away some pillows to your readers? Here is a free/no post required blogger opportunity with a $130 prize. Sign up by 8/15 for a free Twitter link. Additional links are relatively inexpensive if desired. Do please tell them Java John Z's sent you if you sign up. Thanks. Savory Savings is hosting this Blogger Opp for two pillows from SmartSilk (value $130!)! This event is FREE to join! No announcement post required! If you would like to do an announcement for a chance at the referral bonus, please grab the HTML here. Giveaway follows all Facebook and Pinterest giveaway rules – so no worries on that. Do you watch Get Out Alive on NBC Monday nights? While Bear is the host and doesn't drink his own pee as he did in Man Vs. Wild, the show is the ultimate survival competition. 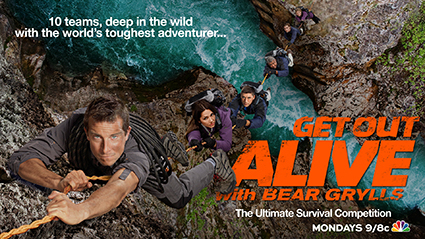 In #GetOutAlive, 10 teams of 2 compete to survive in the beautiful New Zealand wilderness with Bear as their guide. The teams are faced with various survival tasks as they battle the terrain, mountains, gorges, glaciers, rainforests, rivers, and rapids. Each week, one team is eliminated, and the last remaining duo will win $500,000! Here is your chance to win an official Bear Grylls Survival Bracelet from Gerber. In the app below, check out the action-packed scenes from the show and take the Would You Get Alive? Quiz. Then enter in the Rafflecopter below to win. Did you miss the review for the GameDay Scoreboard? Well, don't miss the scoreboard giveaway as it ends tonight at 11:59 pm EDT. 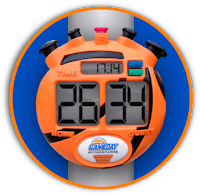 You can also save $5.00 off the regular web price of $34.95 and get GameDay Scoreboards for $29.95. The Microdry Easy Loader Laundry Tote giveaway also ends tonight. Does anyone actually love doing the laundry? Here's a giveaway to help with lugging the clothes around. Are laundry baskets considered a thing of the past now? Are you packing your kids off for college? Or perhaps your hamper tote, or laundry basket, has seen its better days? If so, then this giveaway is all about you! Enter to win a great Hamper Tote that has two load carrying capacity. The handles make it easy to carry and it stands by itself. The color is gender neutral so no one will be whining that it looks like a chic's bag! Tote that laundry around with ease with the Microdry® Hamper Tote. These are available at Bed, Bath & Beyond. Want to know more about them? Check out the overview here. One lucky reader will win this great Hamper Tote making laundry hauling super easy! Enter here and good luck! My Blog is not responsible for prize fulfillment. Yes, I found a giveaway where the prize is actually a 12 pack of beer. The rules seem to say 18+ for entry with the giveaway ending 8/16. 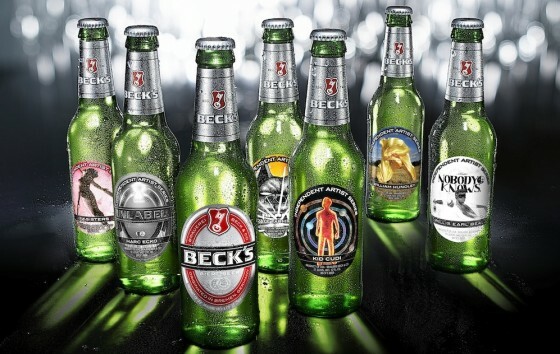 Instead of the regular labels, these have artist designed labels. Be sure to check out our other giveaways while visiting. Sign up for an account at Audiobooks.com and get a free book! Once you’ve set up an account and downloaded the Audiobooks.com app (available for iPhone, iPad or Android), enjoy a 7 day free trial to stream or download any book in our collection, absolutely FREE. Don’t want to listen on your smartphone? You can use Audiobooks.com on almost any internet-enabled device! You gotta love this giveaway. Grand prize is a custom motorcycle AND a guitar. The giveaway started last October, but it ends next week (8/8/2013). Sign on with us, and millions of animal lovers worldwide, today and say “NO” to gestation crates for pigs. As if we didn't have enough other giveaways starting today, here's yet another one. It only runs for 3 days so be sure to enter before the end of day Saturday, August 3rd. US only here. Good luck. If you are sending your kids back to college, they have to do their laundry and with great products from MicroDry you can help them toting, carrying and stacking up that dirty laundry! Here is a giveaway that will get them cleaned up in no time! Tote that laundry around with ease with the Microdry® Easy Loader Laundry Tote. These are available at Bed, Bath & Beyond. Want to know more about them? Check out the overview here. 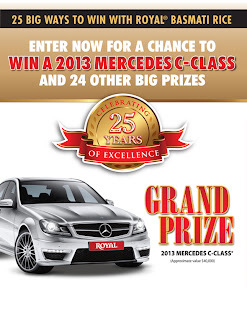 Royal Basmati Rice has a single entry sweepstakes going on with 25 prizes celebrating their 25th anniversary. The Grand Prize is a C-Class 2013 Mercedes. You have until December 1 to enter and you need to know how many times their 25th anniversary seal is printed on the bag. Thanks to user smthkat789 at SlickDeals, we have pictures of the bags and the answer is two, one on front and another on back. Enter to win a Conair Hydrotherapy Massaging Foot Spa! Give your tired feet professional spa treatment with this hydrotherapy massaging foot spa. Ends 9/30/13. August means that summer will be drawing to a close soon. So if you haven’t found your summer paradise yet, you better get to it. Is your salvation here? 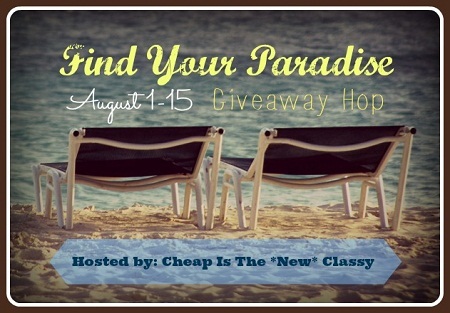 The Find Your Paradise Giveaway Hop is hosted by Cheap is the New Classy. Hey, I'm co-hosting this one. Be gentle. Thanks for all my fellow bloggers who also signed up and used me as the referral as I won the reward of the co-hosting spot. Here's your chance to win an $84 Maggie Bags Campus Tote. Definitely a colorful bag. Good luck and thanks again. Welcome to Maggie Bags Campus Tote Giveaway! Maggie Bags are made with automotive seat belt webbing that is built to meet government safety standards to protect us in our cars. With the governments high standards, millions of yards of seat belt material are rejected each year by automakers. So Maggie Bags uses as much of these rejected material as possible to create their durable seat belt purses and handbags. Read Mami's 3 Little Monkeys full review here. Here's a giveaway hop with lots of participants. Our prize in the hop is a Hampton Bay Lynwood 52 in. 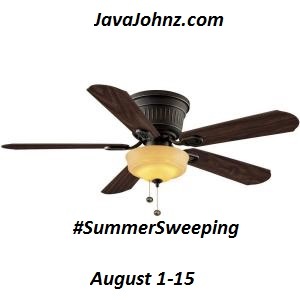 Indoor Oil Rubbed Bronze Ceiling Fan, valued at $95 (from Home Depot). I've been seeing lots of home improvement type prizes and thought I'd see how popular they are. If it turns out to be so, perhaps we'll do more prizes like this in the future. Giveaway prizes are so much easier when you don't have to choose. But you can't complain about $100 and between Target, Walmart, and Visa, one is bound to be good for you. Good luck with this US-only giveaway and you have until 8/22 to enter to win. 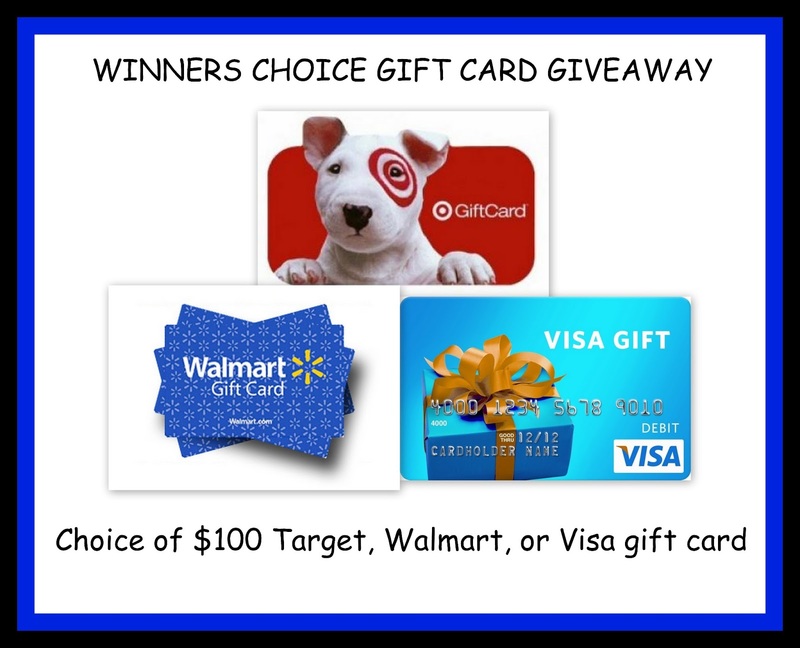 Welcome to the Winner's Choice Gift Card Giveaway! 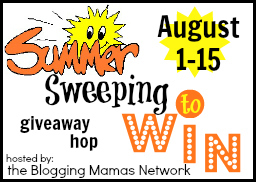 Extreme Saving Moms has teamed up with a great group of Small Business owners to bring you another great giveaway. And just in time for Back-to-School shopping too! Here's a giveaway for a fun prize. Wall decals. And with Shark Week next week, I really like the shark in the ship porthole windows. Try your luck and enter to win before 8/15. Good luck. With over 20 years of experience, Wall Jems are high quality Wall Decals! Customers can choose from over 278 designs or create their own! 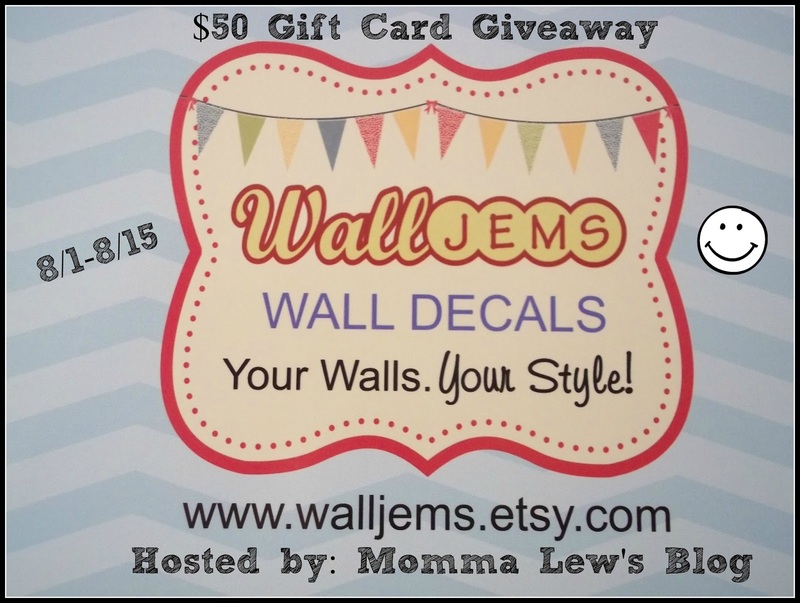 Decorate your home or office, update your child's bedroom or create a beautiful nursery for your new baby with Wall Jems! Read Momma Lew's review here. We have a celebration here for Serenity You reaching 2,000 Twitter followers. Congrats to her and here's your chance to win $60 because of it. You have until 8/22 to enter to win. 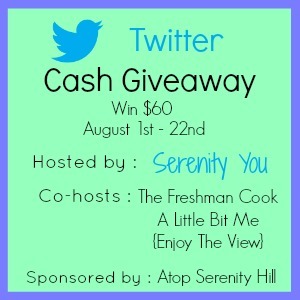 To celebrate reaching over 2000 twitter followers Serenity You is having a cash giveaway!! One lucky person will win $60! 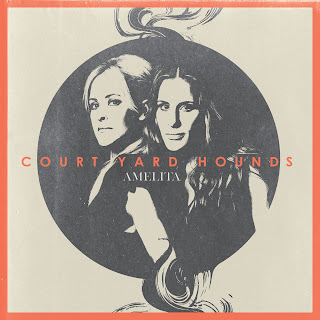 It is hard to do a review of a Court Yard Hounds record without mentioning the Dixie Chicks. The Dixie Chicks have sold over 30 millions records and won 13 Grammy Awards with Natalie Maines as lead vocal with sisters Martie Erwin Maguire and Emily Erwin Robison. Amelita by Court Yard Hounds is the second album by the duet of the sisters. Noticeably missing from this album is the distinct voice of Maines, but that is what makes the Dixie Chicks so good and not Court Yard Hounds. I first ran across this company back in the spring when we did a giveaway for the Decked Out Dad's event. I reviewed their World Adventure book which I had received for my son. He still loves the book, seeing his name all spelled out. This giveaway here we have four of their books up for grabs. And, they even have another giveaway going on for a $100 Visa Gift Card and 5 personalized books, with 1,000 runner-up prizes to go with it. Be sure to enter their Summer Reading Sweepstakes, too. That giveaway ends the end of August, this giveaway ends 8/22. (And if you want to win a personalized lunchbox... that ends 8/5.) Good luck. I See Me! publishes very high quality personalized children’s books that build self-esteem by celebrating the uniqueness of each child. You submit their name and some personal information to the publisher and they incorporate that information into their story. As you or your child reads the book, they periodically see their name, their friend's name, their pet's name, their home town or some such and a big smile shows up on their face as the story is about them and not just another impersonal book. If you like personalized products for your kids or just need to pick up a unique gift for a friend's child (or a relative), this would make the perfect present. You just have to plan a little to give it time to print and ship. We have a guest post this week on acting in LA. If you have ever wanted to hear the words, “Lights, Camera, Action!” then the International Academy of Film and Television and other such schools are exactly where you need to be to start the path to acting or cinematography. You have had this as a dream since you were a small child and now it is easier than ever to make that lifelong dream come true. It doesn’t matter how great the school is if you cannot afford to attend. It is important to find that balance between quality and tuition. One of the red flags of a low-quality school is low tuition. If something seems too good to be true, it probably is. You want to look for an established academy that is able to give you hands-on artistic training by those who are in the industry for a fair tuition price. A bonus offered from some schools is a quick diploma program so you can get through quicker, thus saving you money in the long run. If you have always wanted to experience other cultures and incorporate the things you learn by expanding that cultural knowledge, you can choose a program that has international campuses in addition to a stateside campus based in California. You want the convenience of studying in California and the contacts you can make while studying so close to Hollywood, but it is so great to have the option of studying abroad. I wish I lived closer to Mystic Aquarium. They have two nights in August where you can have Cocktails with the Whales, August 2 and 16. 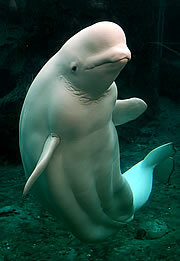 I used to live outside Baltimore and the aquarium there used to have beluga whales and I always loved watching them. How great it would be to spend a Friday night drinking cocktails, listening to live music, and enjoying the whales. 21+, $5 in advance, $10 at the door. Get paid to fill out surveys to help companies enhance products and services as well as create new innovations! Get $5 just for signing up! My wife is a big tea drinker in the summer, brewing her lemon-flavored Whittard's tea, then chilling it, to make iced tea. 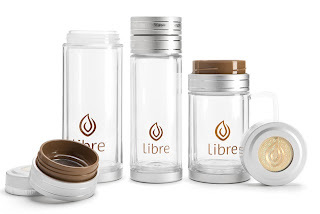 Libre recently offered me their mug to review to present a totally different way for brewing the tea and then drinking it on the go. 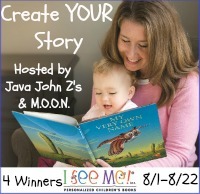 Java John Z's is happy to join Adventures of 8 and Blog with Mom in a new Advertise with Bloggers Event! How many gift cards do you have sitting around? Do you have gift cards to stores or restaurants that you either don't visit often or are not near you? Well, stop letting that money just sit around, instead go to GiftCardRescue.com and turn that unwanted gift card into cash or into the gift card that you could use! Cool, right? GiftCardRescue.com’s mission is to assist you in getting something from your cards. The company buys gift cards from those who don’t want them and sells them to those who would use them. You have two options, you can sell your gift cards and get up to 90% cash back or you can save from 4% up to 30% on discounted gift cards to over 350 national merchants. Plus, GiftCardRescue.com guarantees that all transactions are backed by the best customer support team in the industry. 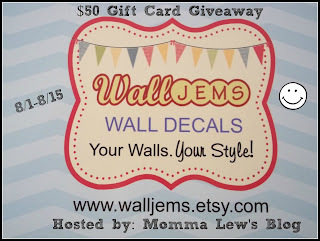 Here's a giveaway that is coming up offering a $50 gift card for some wall decals. I like these things though we don't have any ourselves. We just do fancy things with paint. Sign ups end soon and the giveaway starts August 1. Come back then to enter if you like the prize. 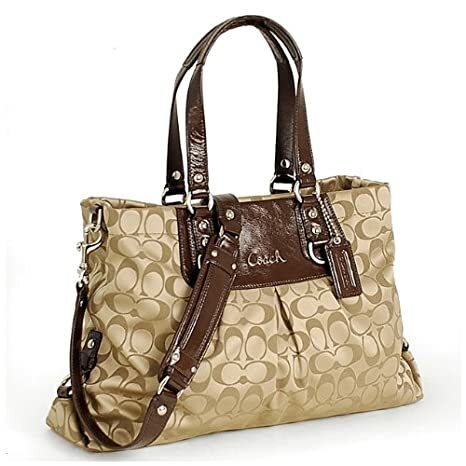 Here comes another Coach bag giveaway. Signup to host now for the Sept/Oct giveaway. 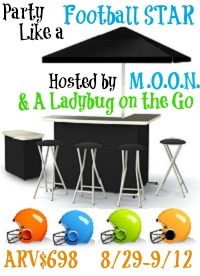 The first 50 who signup can get a free Twitter/Pinterest link. After that, you gotta pay to play, so signup quickly. Here is one of those blogger opportunities I'm signing up for as the prize is rather interesting and I don't think I've ever seen them offered. A quick Google search seems to indicate the last giveaway from them was over a year ago. Hopefully, you'll like the prize once the giveaway starts. Bloggers wanted to sign up for another one-of-a-kind Visionary Bri giveaway! 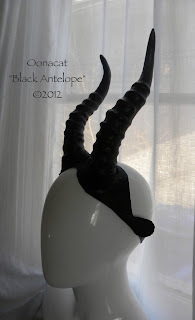 to bring you the Costume Horns Giveaway! Oonacat designed me a custom set of horns. Her work is the best costume work of this nature that I've ever seen. Oonacat hand paints all of her creations and they're very durable. And I have to tell you that I've never been this blown away by my set of horns. She really does some great work. or Halloween this year, then this giveaway is for you! Okay, here is a really cool prize for someone to win with football season getting ever closer and training camp now started. Too bad you can't get the prize with team colors. Signup now for this giveaway that starts on 8/29. You have until 8/26 to signup. Then come back o after the 29th if you want to win. I try to find giveaways that are open worldwide and this is one such giveaway. It is for some photo editing software and there will even be 10 winners. Try your luck to pick up one of the licenses. Giveaway ends August 17th. Required entry is a Facebook like. They're currently at 8 when the giveaway started. Let's see how likes 10 licenses will get them. Welcome to the BlazePhoto Giveaway! Finding good software for your photo editing needs is tough, especially for those of us who are not technology challenged. But today, you can win a great photo editing software - for free! BlazePhoto is a powerful, easy to use photo editing and managing software. The program will find all the photos in your computer and help you organize them easily. Plus, the photo editor is so powerful that you will easily be able to edit imperfections on your photo - from reducing blur to making cool effects. If you really want to take things up a notch, with a few easy clicks you can make a professional looking photo slideshow DVD! In case you can't tell, I like these Amazon gift card giveaways. 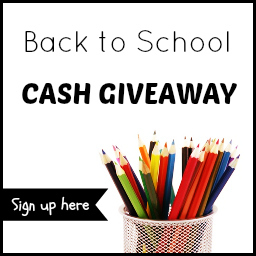 For this one, you have three weeks (8/19) to enter to win $200. I even get to co-host this one. 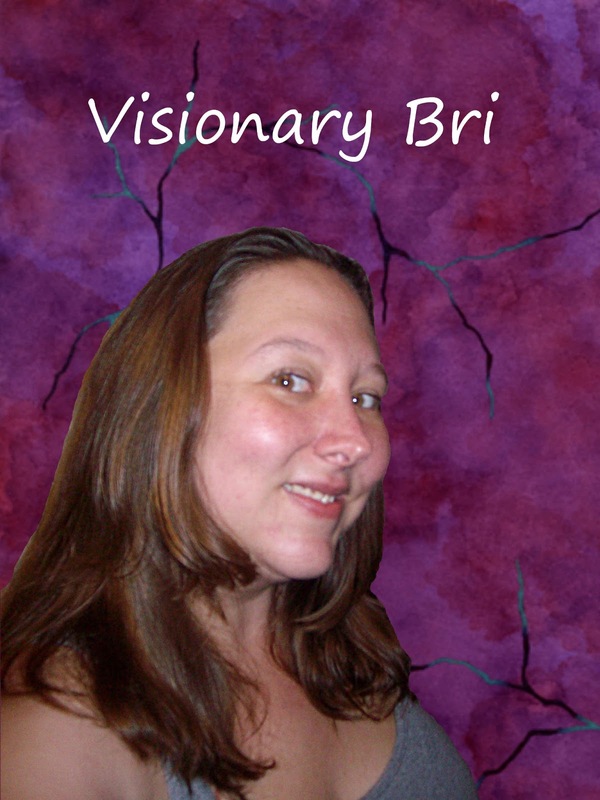 I've been named one of the Top 50 Giveaway Bloggers for 2013 by voiceBoks. Wahoo!!! If you vote for me, I can make the top 10. Voting is between July 29, 2013 12AM to September 1 11:59PM (PST). 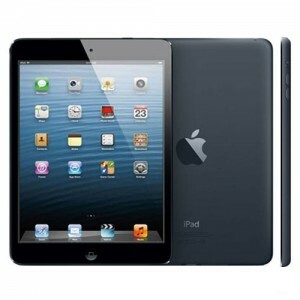 Life is good if you can win an iPad. Here's your latest chance if you're US-based. You have until 8/19 to enter to win. Good luck. Here's your chance to enter to win an 8 person tent from Coleman Montana. The giveaway runs to the end of August (8/31/13 at 11:59 pm). Open US only. Good luck.